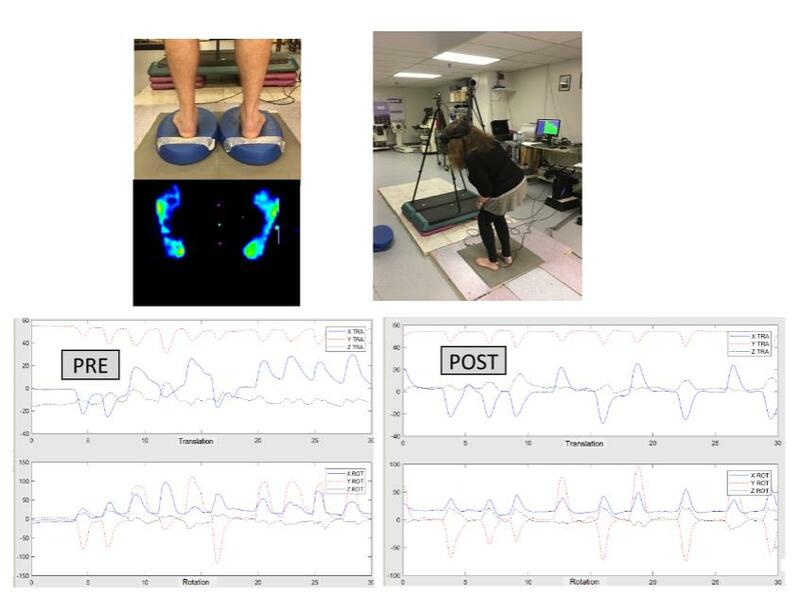 Our lab has been collaborating with Prof. Anat Lubetzky in Physical Therapy on several projects. One of the projects I have been working on is a balance assessment project. The combination of VR and Physical Therapy is not a new concept. It has been increasingly used for decades, especially since the explosion of use in the early 1990’s. 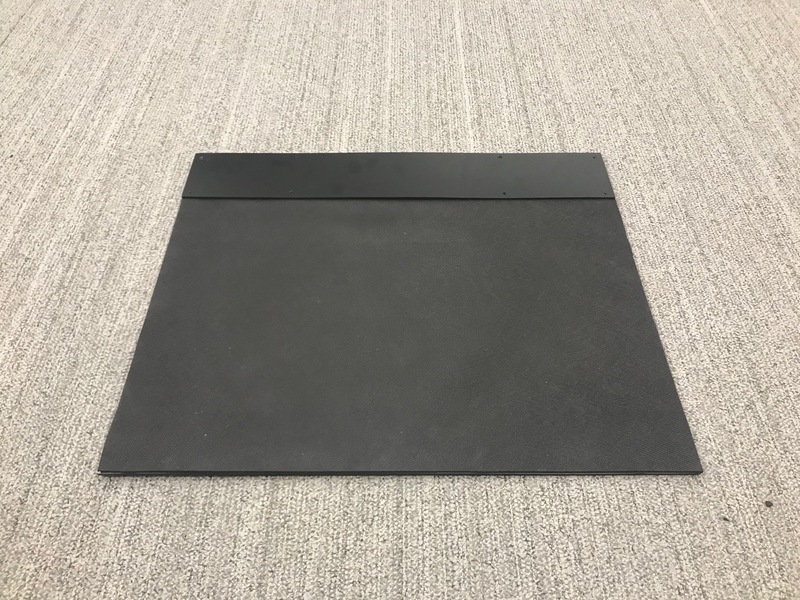 However, in our project, VR is not the only extension to the physical rehabilitation, we also use subtle Tactonic floor mats (see Figure 1) to capture weight shifting and subtle muscle movement in the feet. Tactonic floor mats are built with pressure sensor matrices which capture pressure and provide the variation of the pressure distribution in real-time. The mat is sensitive to pressure and requires low computation cost so that we can get pressure and the corresponding visualization responsively from our feet. For those who are interested in computer science technology in physical rehabilitation, see my earlier post on arch index measurement. 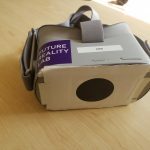 Our objective of the balance assessment project is to develop an experimental virtual reality platform which can be used to assess sensory integration and visuomotor processing for postural control in patients with balance problems and sensory deficits such as vestibular dysfunction(a disease of the inner ear). We designed a few VR scenes to give the patients an immersive experiment environment so that they can accomplish the experiment or training while they are playing “games”. Currently, there are 2 major scenes on our platform: the star scene, park scene. In the star scene, participants face a giant 3-sided star wall, and the star wall has a movement from side-to-side or front-to-back to specific frequencies. Participants need to keep their head as stable as they can when the surrounding stars are “shaking”. This test helps us to reveal how visual cue impact on head stabilities. The shaking has very limited influences on healthy young adults that we tested, but influences could be significant on patients since they may shake their head or body involuntarily along with the star wall. In the park scene, we have a park in the middle of a city. Participants stand in the middle of the park and have balls coming at a fast speed in random interval towards their head. The participants need to dodge the balls by moving their upper body but not moving their feet. It helps us to discover how people’s balance mechanism react to a sudden stimulus. In both senes, The position and rotation of head are recorded, as well as the center of pressure from the floor mat. So that we are able to use the recorded data to do data analysis. I believe valuable research outcomes will be obtained further from the collaboration between Computer Science and Physical Therapy, and they would be a great help to human health. Figure 5. Data analysis for the park scene. 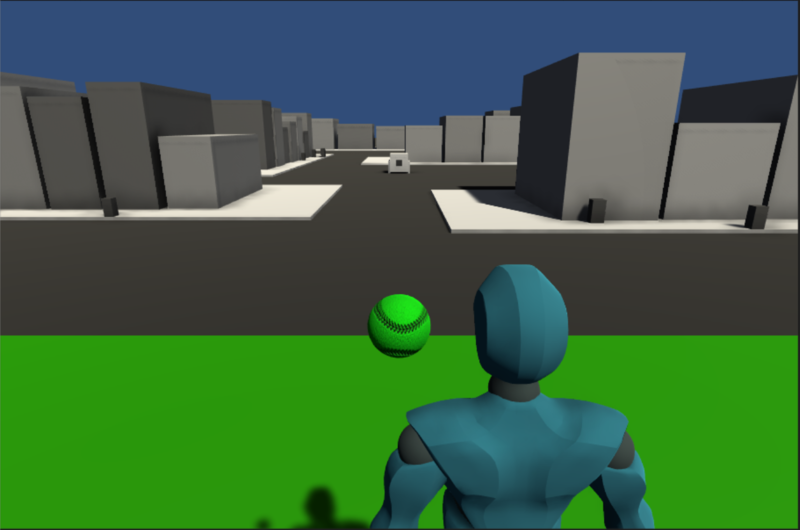 Every drop and peak on the plot represent a head movement from dodging the ball.